The tradition of beekeeping in Bihar is very old and it was in practice with Apis cerana, which were kept in earthen pots. 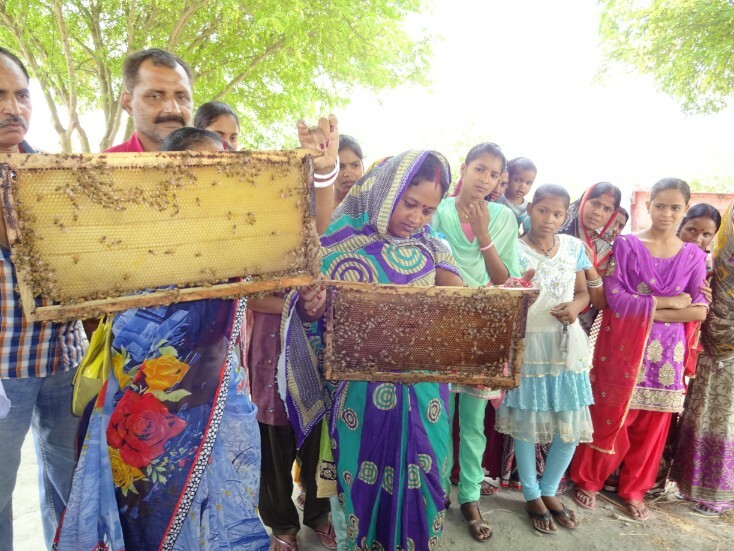 The beekeeping was flourishing well in Bihar, however, there was a setback to beekeeping industry in the 1980s due to disease caused by TSBV (Thaisac brood virus). In 1987-88 Apis mellifera bees were introduced in Bihar with 15 colonies by the All India Coordinated Research Project on Honey bee, DRPCAU, Bihar, Pusa centre. The bees adopted themselves quiet well in different agro climatic conditions prevailing in the state. 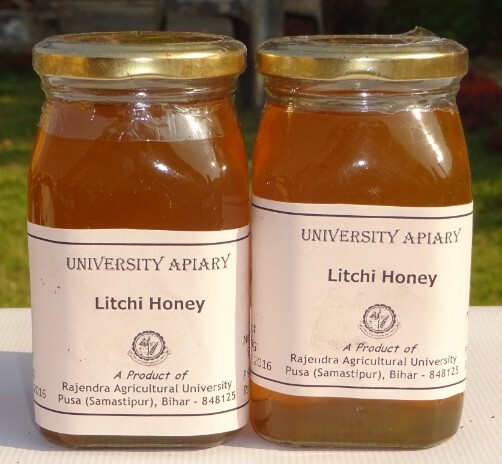 The litchi honey produced in Bihar has better taste, colour and flavour than the honey produced in other states due to variation in ecological conditions. Litchi honey is very popular and has high demand nationally and internationally. This region has three to four honey flow season (Litchi, Mustard, Mix honey of Mung, Till, Jamun and Drumstick) compared to one or two in other states. There is a vast area of litchi orchards in the state and more than four varieties of litchi are found extending the flowering period for about a 20-25 days to a month. Bihar is located in the eastern part of the country and has and has the advantage of rich flora and ecological conditions for beekeeping and has high potential for beekeeping and production of beehive products. The weather conditions prevailing in the state are more conducive for beekeeping as the favourable temperature (25-35oC) prevail throughout the year except during the months of May – June and December-January, for few weeks. The adverse weather conditions are easily overcome by proper management of colonies. Though, Apis mellifera unlike Apis cerana is free from any dreaded diseases the colonies suffer from the attack of wax moths, wasps, mites and ants but beekeepers adopt successfully preventive control measures to check the loss of colonies from natural enemies. Training on beekeeping is imparted regularly by the centre. This enterprise has attracted the majority of the population who are landless, low or marginal farmers and unemployed youths in the state. Low input and quick and high returns are the added advantage of beekeeping. Consistent and continuous effects of this centre coupled with innovative nature of the beekeepers for adoption of modern technology, mellifera beekeeping was popularized in short span of time. Beekeeping research, training and honey festivals boosted the adoption of beekeeping. To undertake research on stock improvement of honey bee colonies for higher production. To conduct location specific research on management of honey bees and bees and their diseases, enemies and their management. To conduct research on carpenter bees. To organize and impart trainers training on bee pollinators and scientific beekeeping. In Bihar, migratory beekeeping was developed by the Pusa centre of AICRP on Honey bee which has proved beneficial for producing different types of honey in different areas and resulted in considerable increase in yield and colony existence. By adoption of migratory beekeeping, beekeepers may harvest different honey flows. The migratory routes established in the state for obtaining different types of honey are depicted below. Migratory routes for beekeeping in Bihar. Different honey flow seasons in Bihar. Evaluation of pollen substitute/supplement: Artificial diet comprising of Soybean flour (25 g) + Yeast (10 g) + Pollen (15 g) + Skimmed milk powder (5 g) + Honey (22.5 g) + Sugar (22.5 g) suited for colony development during dearth period of mellifera. Artificial diets for Apis mellifera during dearth period: Colonies of Apis mellifera and Apis cerana, when fed with different artificial diets, the stimulative diet (Sugar Syrup+Vitamin+Pollen substitute) produced superior quality queens in maximum number over other diets. Floral map for beekeeping in Bihar: The floral map of Bihar was prepared for available bee flora in different districts. Major and minor bee flora in potential sites of the dominant and growing districts of the state were listed. Beekeeping migratory route: The migratory routes of beekeeping have been established in the state for obtaining different types of honey for higher income. The different honey flow plants are litchi, mustard, jamun, drumstick, sunflower and mung. Standardization of mass queen rearing technique: For artificial queen rearing, grafting larva of younger age i.e. <24-hrs old in artificial wax cups of 9 mm diameter size for Apis mellifera and 7 mm diameter size wax cups for Apis cerana after priming the wax cups with royal jelly was best suited to obtain more number of queens of better potentiality. Queen reared during autumn season were of better quality than other season. Varietal preference of Rapeseed and Mustard to honey bees: Brassica juncea was most preferred by honey bees than campestris var toria and B. campestris. var sarson. On the basis of duration of foraging, foraging rate and foraging speed, cv. Varuna was found as most preferred source for Apis spp. Estimation of Nectar Sugar Concentration: The nectar sugar concentration recorded in flowers were 05 in litchi, 29.0 % in strawberry, 31.09% in toria, 33.49% in Helianthus annus, 30.79% in Carthamus tinctorius, 29.36 % in Linum ustitassium, 30.41 % in Sesamum orientale, 24.48 % in Guizotia abyssinica and 25.33% in Ricinus communis. The test samples of nectar indicated the presence of fructose, glucose, sucrose and traces of maltose. Pollen constancy behaviour: Apis mellifera and Apis cerana indicated that both the species have alike pollen constancy during foraging. The maximum numbers of multifloral loads were found in month of September in both the species i.e. dearth period. mellifera carried significantly heavier pollen load than A. cerana and maximum amount of pollen was collected in month of March. The pollen contained about 7.22 % moisture, 30.35 % total sugar, 17.62 % protein and 3.81 % ash. Management of mites in Italian bees: The infestation of Tropilaelaps clarae and Varroa destructor was effectively controlled by application of oxalic acid (35 g) and 200 g sugar in warm water @ 2 ml per frame at weekly intervals. Domicilation of Carpenter bee: Two species viz., Xylocopa fenestrata and Xylocopa pubescence were recorded at Pusa and the bamboo top was found best habitat for Xylocopa The acceptance of Xylocopa fenestrata for nesting in bamboo tops was recorded in the extent of 60.00% for domiciliation. Honey bee Festival: Honey festival is organized by the centre, every year to have discussion on the problems of the beekeeper and promotion of beekeeping activities. The table below indicates the popularity of this even among the farmers and beekeepers. Ideal Apiary: An state of the art apiary with more than 150 Apis mellifera bee hives are maintained for teaching, research & extension purposes. Beekeeping Laboratory: A modern beekeeping laboratory is available for research. 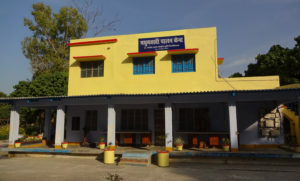 Training hall: A training hall of 100 people capacity and furnished with all the modern gadgets for organizing the training programme. Conference Room: A conference room of 30 person capacity with audio-visual aids is available. For boosting the rural development through beekeeping, Integrated Bee Keeping Development Centre (IDBC) has been established at KVK, Piprakothi, East Champaran (Bihar) with the financial assistance from National Bee Board, New Delhi. The centre was inaugurated by the Hon’ble Union Minister of Agriculture & Farmers’ Welfare, Govt. of India, Sri Radha Mohan Singh Jee on 17th July, 2016. Bee surveillance/disaster management centre, etc.